Fork lift mount. Integrated top/bottom part. Adjustable between 5 mm to 130 mm. Width between rods: 36mm. 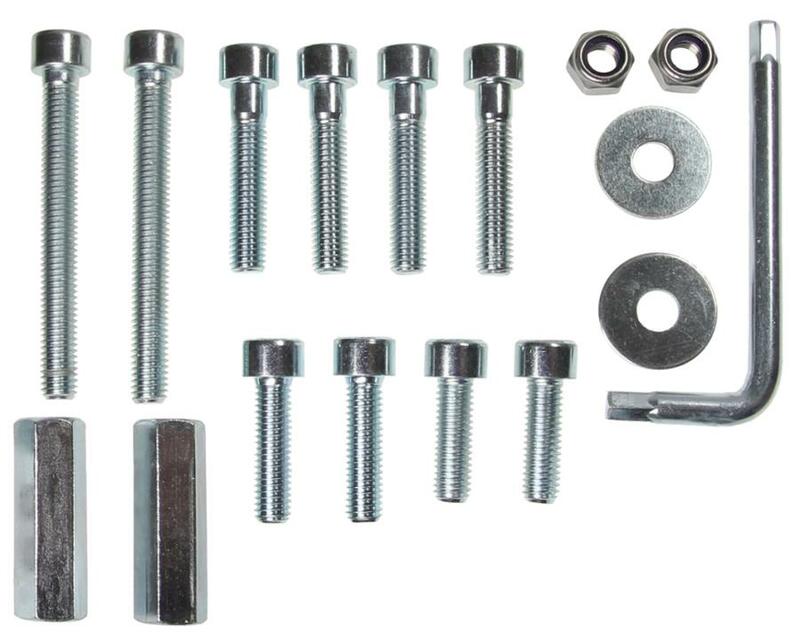 Screws in various lengths, nuts, washers and Allen keys included. 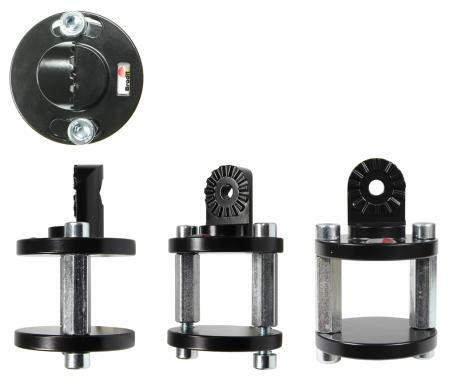 The fork lift mount can be mounted on square surfaces. Works perfect on for instance the rollbar on a fork lift. Integrated base/top fitting for the adjustable extension parts. Comes with complete set of screws of various sizes, allowing for the fork lift mount to span from 130mm to 5mm. Width between rods: 36mm.